This moist, tender down home muffin is bursting with blueberry flavor! Prairie City Bakery Down Home Muffins are filled with premium ingredients creating a delicious, melt-in-your-mouth flavor. Our Down Home Bulk Muffins are available in five wonderful flavors: Bursting Blueberry, Banana Nut, Cranberry Orange, Cinnamon Cream Cheese, and Tuxedo (Cream Cheese Chocolate Chip)—and sold in convenient Foodservice 4-packs. There are only (6) 4-packs per master case—so you have just the right amount of product! 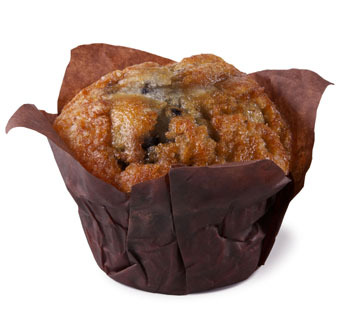 These muffins are a great complement for your gourmet-coffee program. Acrylic bakery cases available for purchase.